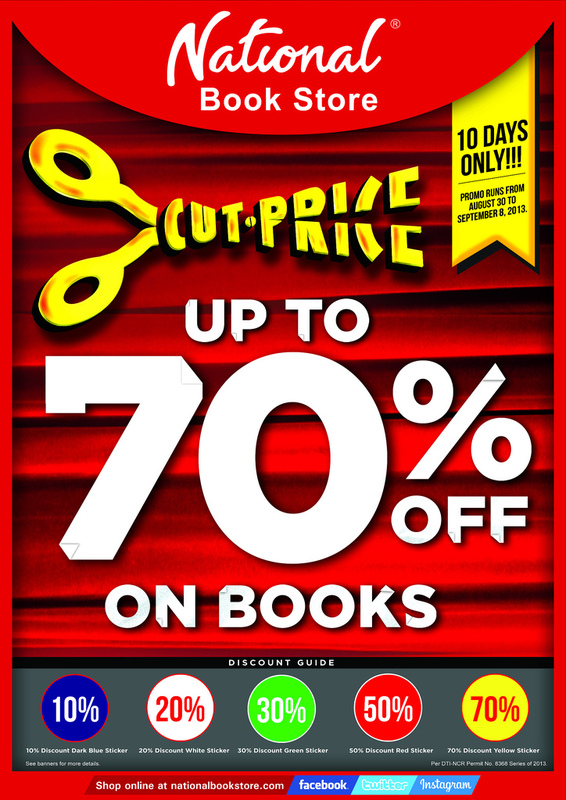 Read More, Spend Less at National Book Store’s Cut Price Book Sale! The biggest book sale of the year at the National Book Store’s Read More, Spend Less: Cut Price Book Sale starts TODAY, August 30 to September 8, 2013 at all National Book Store and Bestsellers branches. Enjoy huge discounts of up to 70% off bestsellers, sequels and new releases. Follow National Book Store on Twitter and on Facebook page for more details! This kind of event is just the perfect chance for parents to cut off their expenses for their monthly budget especially with the growing school expenses nowadays.